When They Might Be Gypises released their self-titled debut album last year, the record introduced Aiden Ryan as a stunning voice in local gypsy jazz and swing. The guitarist staked his claim as one of the region’s elite players, displaying precise technique, uncommon style and remarkable sensitivity. He was 14 years old at the time. 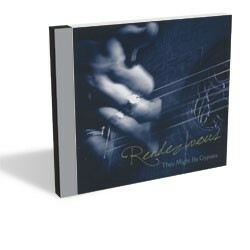 Now the Gypsies are back with a new album, Rendezvous. A year old and wiser — and almost of legal driving age — Aiden continues his ascent as one of Vermont’s rising young stars. Under the watchful eyes and keen ears of his father, guitarist Greg Ryan, the Middlebury-based duo provide yet another striking collection of acoustic suites. They skip through a sophisticated array of worldly influences, from hothouse swing and manouche to Latin-flavored rumba and Spanish flamenco — and even occasional hints of rock-and-roll snarl. They Might Be Gypsies closed with a composition written by Aiden Ryan. Fittingly, Rendezvous picks up where that record left off: with the budding prodigy’s tune “Rajana.” The Latin-tinged instrumental is warm and breezy, as Aiden effortlessly winds a hazy nylon-string melody around an insistent, throbbing upright-bass line from Robinson Morse. The song is the first of a trio of compositions from the younger Ryan, all of which suggest he’s coming of age not only as a player but as a gifted and intelligent writer. Kids these days. Aiden is remarkable throughout. And it’s clear he comes by his gifts honestly, as Dad is no slouch himself. Playing a steel-string guitar, Greg Ryan spends much of the record in the background providing a steady rhythmic ballast. But once in a while he commandeers the spotlight, as on “Into the Unknown,” which he wrote. Here, Pops shows Junior a thing or two about a thing or two, gracefully delivering flawless runs that showcase his technical prowess and tact. Veteran local violinist David Gusakov drops in on a baleful solo that alters the mood with drawn-out, weeping sustains and contrasts Greg Ryan’s fiery steel. Gusakov isn’t the only guest here. Vocalist Rani Arbo, of Rani Arbo and Daisy Mayhem renown, takes center stage on “Belleville Rendezvous,” a song from Sylvain Chomet’s 2003 animated film, The Triplets of Belleville. Aiden Ryan proves equally adept carving space in the background, tastefully accenting Arbo’s lines with subtle flourishes. Then he reminds us that he’s a burgeoning monster on a series of increasingly impressive solos. Rendezvous closes on Greg Ryan’s “Shiver.” The song grooves along with a slow burn as trumpeter Dave Purcell leads the full band through an undulating flow of increasingly intense and unpredictable changes. Then, just at the song’s apex, Purcell’s heat is tempered in a chilling duet with Aiden Ryan that leads the song, and the record, to a blissfully exhausted conclusion. Rendezvous by They Might Be Gypsies is available at theymightbegypsies.com. Greg Ryan plays a solo show at the Purple Moon Pub in Waitsfield this Saturday, November 19.